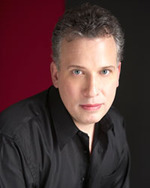 Billy Stritch is an award-winning composer, arranger, vocalist, and jazz pianist. He's worked with the greatest in both music and theatre including Liza Minnelli, Reba McEntire, Linda Davis, and Christine Ebersole. Since the age of 12, Billy has been delighting audiences with his skill, humor, and showmanship. During his time at the University of Houston, Billy created the musical group Montgomery, Plant, and Stritch. This jazz vocal group started out playing in local saloons, but before they knew it, they were crooning in some of the best supper clubs around the country. These gigs led the group to the JVC Jazz Festival where they got paired up with Mel Torme at Carnegie Hall which took them to becoming regulars at the Newport Jazz festival and toured Italy for four years with the North Sea Jazz Festival. The group did eventually disband and Billy made the leap to New York City. One night he was playing in a piano bar, when Liza Minnelli walked in, heard him play, and instantly hired him to arrange for her "Steppin' Out At Radio City" extravaganza. This amazing pairing took Billy all around the world and continued with Liza asking him to associate produce her CD "Gently," which earned two Grammy Award Nominations. He was also co-arranger with the great Marvin Hamlisch for "Minnelli on Minnelli" at the Palace Theatre in New York City. In 1994, Billy and Nashville writer Sandy Knox, wrote the Grammy Award-winning country song "Does He Love You?," which was recorded by country superstar Reba McEntire and Linda Davis and has sold over four million copies nationwide. "Does He Love You?" has also appeared on Patti LaBelle's CD "Flame" and most recently was performed on "American Idol" by Reba McEntire and Kelly Clarkson. Billy Stritch, Adam, & Christine EbersoleA new path opened for Billy in 2001 when he was cast in the Broadway revival of "42nd Street" as "Oscar," the piano-playing crooner. This is where he met the one and only Christine Ebersole and eight nights a week, they got to perform their show-stopping number "I Only Have Eyes For You." Their enjoyment of one another led to many future collaborations together including their nightclub act "In Your Dreams" which they performed in 2004 at Feinstein's in New York, The Cinegrill in Hollywood, and Manhattan's famed jazz club Birdland. Their act led them to releasing a CD of the same name in November 2004. Their latest release together, "Sunday In New York", also stemmed from their nightclub act at The Metropolitan Room in New York City. From solo CDs to guest appearances on many others, Billy is your go-to guy for a defining sound that will rock your soul. Billy can currently be seen in Las Vegas at the MGM with Liza Minnelli in "Liza at the Palace" until October 1 and then they go down under for Liza's Australian tour through November 3. Be sure to catch these two legends together...and you certainly catch more of Billy at http://www.billystritch.com. 1. Who inspired you to become a performer? My Grandmother used to take me to see all the shows that came through Houston (my hometown) when I was between the ages of nine and 12. Those experiences greatly influenced my desire to be onstage; seeing Ginger Rogers in "Mame", Barbara Eden (!) in "The Unsinkable Molly Brown" and my favorite Debbie Reynolds doing her nightclub/concert act. So it really wasn't one particular person who inspired me, but rather all of those childhood experiences that worked together to ignite my desire to be a performer. 2. Who is the one person you haven't worked with that you would like to? Hard to name just one, so I'll name a few: Cher (duh), Patti Austin, Streisand, Sting, Trisha Yearwod and Martina McBride. 3. Do you have any strange or unusual talent that no one knows about? I can't think of one, but if I did I would probably keep it a secret! 4. What has been your most embarrassing on-stage moment? Luckily, because I am usually seated at the piano, there haven't been many. But when I was in the revival of "42nd Street" on Broadway (in the small but pivotal role of Oscar the pianist) I was talking to a few of the dancers offstage, just chatting away, until I realized that I had totally missed my entrance in the "Lullaby Of Broadway" number. I was supposed to enter onto an elevated platfrom via an offstage staircase and instead had to just sneak on from stage left with a clump of people. Since I was just one person in a cast of 54, I don't think anyone noticed - except the Stage Manager, who gave me a note after the show! 5. Is there ever a time you thought about quitting? Quit and do what? I've always felt that my talent was a God given gift and that I was meant to develop it and share it. I can't imagine doing anything else - certainly I can't think of another business where you get to sleep late, socialize in nightclubs, meet celebrities AND get paid for it! 8. Favorite play/musical? "Sunday In The Park With George" affected my deeply when I first saw it in the 80's, also "Sweeney Todd", "42nd Street", "City Of Angels" and everybody's favorite "Gypsy". 9. Favorite TV Theme Song? This is even before MY time, but I love the theme to the old "Patty Duke Show" - I wish they'd bring TV themes back, but when you have to knock out an entire 30 minute show in 22 minutes, I guess a full theme song takes up too much time. It's a shame, because now when we think back on shows from the 50's to the 80's, what do we remember most? The theme song! 10. "Mary" or "Rhoda"? Mary, of course. Actually though, Sue Anne Nivens was my fave. I love Betty White and have met her many times. She's a delightful lady! 12. Boxers or Briefs? I love Boxers, but personally I have a Border Terrier named Ivy who I'm hopelessly in love with. Is that what you meant? Oct 1 Katie Thompson in "R.R.R.E.D. A Secret Musical"